White Christmas decorating specially designated to fit into one color theme giving a creative classy, sophisticated ambiance. Decorate your Christmas tree with silver ornaments and crystal ornaments, the mixture of these two silver and white colors adds a modern, elegant and beautiful atmosphere to your tree, White lights add a warm classic glow factor to your white Christmas sparkling decorations. Stockings are a must have for any Christmas decor. Hang white stockings as decorations on the fireplace to bring holiday cheer to the season as they are a delight to wake up to. Personalize the stockings to your friends and family’s names, nicknames, or initials. 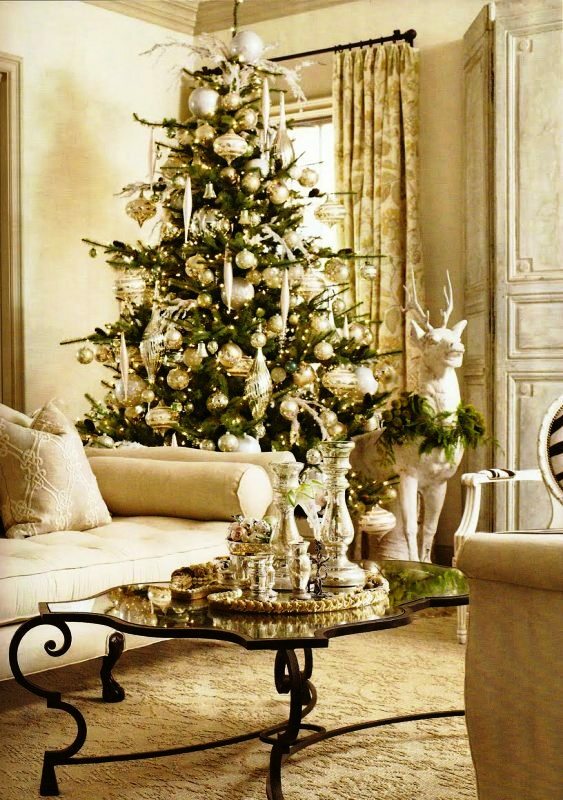 Add silver, off-white, and sparkly decorations to match the fireplace and some of the tree ornaments.